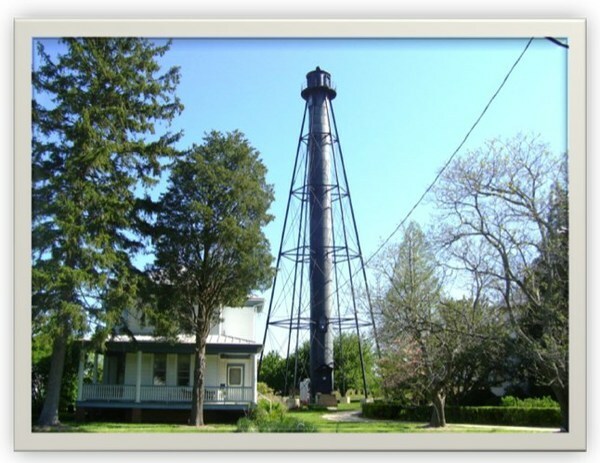 I know the US Government is selling off lighthouses all the time, but the Liston Range Rear Light in Delaware strikes me as exceptional. It is a 120-ft tall, braced iron tube built in 1876 that sits, unusually for a light house, three miles inland from the mouth of the Delaware River. 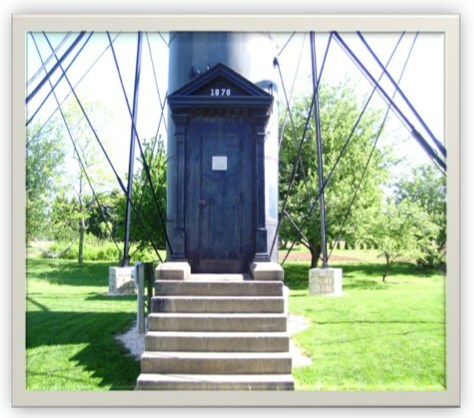 It stands on around half an acre of land. It’s a few miles south of 95; I think that’s the exit where the Denny’s is. There’s a 100sf building at the base that’s included, but the adjacent keeper’s house and assistant keeper’s house were sold quite some time ago. The cylindrical tower is lined with wood, and the steel spiral staircase has five landings, in case you need to rest on the way up. As a range light, it is twinned with a front light which is lower and closer to the water’s edge. Ships navigate by aligning the two lights in a range light. The Liston Range Rear Light still contains its 2nd-order Fresnel lens, which is unusual. It is now being sold by the US Coast Guard. The current bid is $10,000. I repeat, $10,000. 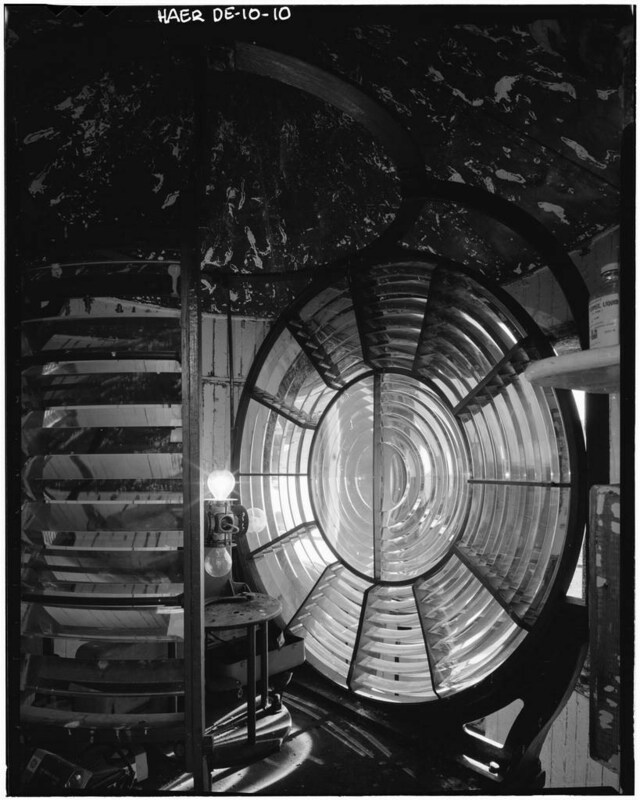 It’s a bummer about the Fresnel Lens, but until I can get my hands on one of those late 19th century War Dept. Gettysburg observation towers, this range light might have to do.